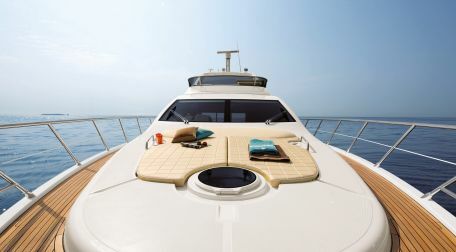 Depends on the gulet size, its comfort and luxury equipment and amenities on board. you should inform the Captain if you have a notebook, electric razor or a dvd player with you to show you which current is suitable for you. What do you need to take with you on board- Digital photo camera and batteries and/or chargers first of all! Casual form of dress at the crewed gulet charter is a swimming suit. You also need to take a sport shoes for walking, and also the clothes for cool evenings in some seasons. Do not forget, one more swimming suit, sun cream, sunglasses, beach shoes and a hat. During your trip you will have a time to read, so do not forget your favorite book crewed gulet charter Turkey, offers all year round gulet charter Turkish territorial waters other options with us besides crewed gulet charter is we have a large portfolio of gulet charter and motoryacht which are promoted with us in our location at gocek, Turkey. Datca is a large peninsula with a unique access from marmaris and due to being geographically endowed combination of blue turquoise coves and and the lush green forests makes this beautiful peninsula a jewel in the southwestern Turkish coastline. in general the short distance between datca and the neighbouring greek islands such as symi and rhodes is an advantageous route for both Turkish and greek counterpartners in southern aegean waters. Daily sea traffic between datca and symi and rhodes islands is far more developed than Turkish and greek relations since the whole fresh green grocery and other supplies are being supplied from Turkey rather than mainland Greece or nearby islands. Symi has a belvedere georgous view in italian unlike other greek islands, white walls and fuchia purple coloured begonias everywhere and the greek taverns where everybody loves to break porcelain plates acompanied with sirtaki and seafood. Turkish Tourists rather prefere symi and rhodes islands for being such a short distance away and the hospitality of symi people against generous Turkish gulet owners and their guests on board luxurious crewed gulet charter and large portfolio.